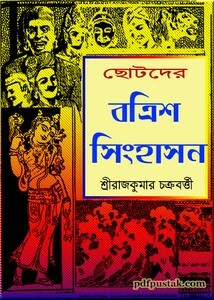 Chhotoder Batrish Singhasan by Rajkumar Chakrabarty ebook pdf. Many people think that '32-Singhasan' is only a simple children story book but it is not true. There are many educational moral stories behind these attractive stories,. All the stories have translated into simple Bengali language so understandable for adolescent, so that all little friends will be able to easily read and understand. Collect the pdf from link below.